Mr. Mangala Samaraweera, the Minister of Foreign Affairs of the unelected (and therefore, less than legitimate) Government of Prime Minister Ranil Wickremesinghe, has just done the equivalent of Jihadi John on the Sri Lankan armed forces. Jihadi John is the ISIS executioner who stands behind captives, makes a speech and cuts their throats in full view of the world’s YouTube watchers and (by extension) TV audiences. Mangala Samaraweera has just done the same to the Sri Lankan armed forces. His speech at the High Level Segment of the 28th session of the United Nations Human Rights Council appears at first glance, unobjectionable, moderate and reasonable and close to pitch-perfect. But that’s only at first glance. The entire speech is clever camouflage. Hidden in it is a deadly ambush laid for the Sri Lankan armed forces. The Foreign Minister has not only welcomed the UN Special Rapporteur on Truth and Justice, he promises to welcome the UN Working Group on Involuntary and Enforced Disappearances. This latter is a dangerous and dastardly move. Sri Lanka has always cooperated with UN Special Procedures and permitted Special Rapporteurs, Working Groups etc. to visit, even during the war. However, like every sovereign state, Sri Lanka has deliberated carefully, in the National Security Council, about which ones would be allowed in, when that might be, and which ones not. One Working Group we were very wary about allowing in prematurely was the UN Working Group on Involuntary and Enforced Disappearances. While it is hardly the case that the Sri Lankan armed forces were never at fault, it was through no fault of the Sri Lankan armed forces that they had to fight several internal wars, in South and North, over the past few decades. 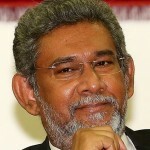 The politicians, including the administrations in which Ranil Wickremesinghe and Mangala Samaraweera served previously though separately, were primarily responsible for those wars, and were certainly far more responsible than the armed forces, for their causation. We must understand the odds that the Sri Lankan armed forces were up against. Firstly, the internal wars fought by the Sri Lankan armed forces were far from purely internal. The North–Eastern war was for many years, and at least in part, one of the biggest cross-border covert or not so covert operations in the world at the time. Even after the relevant state sponsors turned against the Tigers, the external nature of the terrorist war continued because of the Diaspora-based global logistical network the Tigers had built up. Secondly, the Sri Lankan military was fighting over the last several decades, two enemies, the LTTE in the Northeast and the JVP in the South, which were conspicuously marked by the barbaric character of the violence that they deployed. The proportionality of soft to hard targets was quite high in their armed campaign. The LTTE and JVP were also characterized by their politically fundamentalist and fanatical character. These weren’t the guerrilla movements of Latin America which fused romantic rebellion and realism and always strove to maintain the moral high ground. The LTTE is particular was marked by its use of suicide bombers, which according to US estimates, was higher than all the Middle Eastern Islamist movements put together. What this means is that the armed forces had to root out suicide bomber networks, often in the aftermath of horrific attacks on civilians and in a race against time to pre-empt more such attacks. The lives of loved ones and school kids were on the line. There was a clock ticking. It was not only in urban clandestine warfare that the stakes were high. During the wretched Ceasefire Agreement of Ranil Wickremesinghe, the tigers in the North built up a huge network of “civilian” combatants through their “Pongu Thamil” activities and front organizations. These recruits were part of an insurrectionary strategy to surround and overrun the armed forces camps. This was part of the challenge that Gen Sarath Fonseka had to face. Let’s be utterly frank about this. The stakes were not merely tactical but strategic. The pro-Tiger Tamil intellectual and columnist DP Sivaram, better known as ‘Taraki’, often wrote that what would prevent the Sri Lankan armed forces from launching a decisive offensive to defeat the Tigers in the North-East was the LTTE’s deterrent capacity to launch devastating strikes against targets throughout the South, crippling the capital in particular. Thus there were multiple and urgent imperatives for the Sri Lankan armed forces to uproot the clandestine Tiger network primarily in the towns and cities, from Jaffna to Colombo. It was a bitter war; a war of the most bitter sort, fought in the shadows, against a fascist, fanatical foe. The legitimate armed forces of the democratic state prevailed. Were there excesses? Almost certainly! Must they be brought to light someday? Perhaps, though many democracies, from Spain to the Philippines and Indonesia have chosen, prudently, not to do so. In any case that’s entirely a decision for the legislatures of the countries in question. Mangala Samaraweera has no mandate; no right, to make that decision. Mangala Samaraweera looks forward to welcoming the UN Working group on Involuntary and Enforced Disappearances. This would mean not only the disappearance, entirely involuntary and enforced, to be sure, of Tiger suicide cadres who would have blown up our families on board buses and trains, but also imaginary disappearances which the Northern Provincial Council, the TNA and Northern ‘civil society’ organizations and church groups, would come up with. One has to be a bigger fool than Mr. Samaraweera seems to be, to think that the Northern politicians having passed an 11 page resolution claiming Genocide, would not do everything possible to make that claim stick, by producing “testimony” and “evidence”. After all, one did notice on the television news, that Chief Minister Wigneswaran handed over to the visiting UN official Mr. Feltman, a copy of the Genocide Resolution passed by the Northern Provincial Council. Mr. Samaraweera’s green-light in Geneva for the UN Working Group on Involuntary and Enforced Disappearances is a betrayal of the Sri Lankan military which saved us from the fascist suicide terrorism of the Tigers. Mangala’s pledge in Geneva made with gay abandon is a Millennium City Athurugirya betrayal on much larger, institution-wide scale. 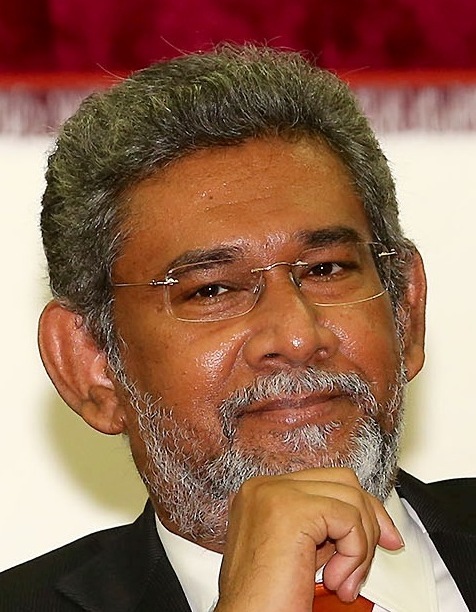 Taken together with the ‘genocide’ resolution (whose legitimacy it will facilitate), it is proof that at the forthcoming parliamentary election, Sri Lanka needs once again, to elect a government with a backbone, instead of one which back-stabs.